Easy Online Ordering. 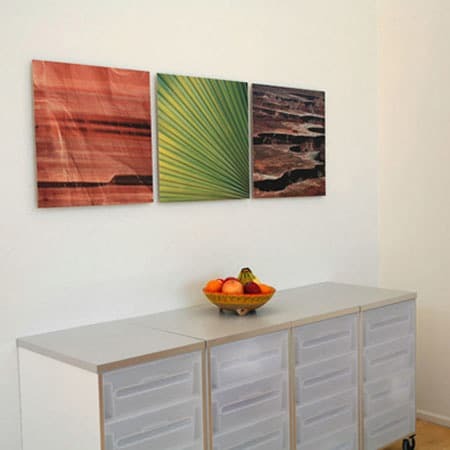 Create Your Aluminum Art! IMPORTANT: Please note that these are not the "metal prints" you might be accustomed to. The typical metal print you see online these days are very thin and use a dye sublimation process where the ink is infused into the metal. It provides a more glossy look. Our aluminum prints are made by printing to pro grade photo paper and mounting to 1/8" thick 100% raw aluminum. Yes, this is an old school, handcrafted way to produce these but the benefit is a wider and more accurate color gamut and a print that will last longer without fading. The improved color and thicker aluminum give it a higher-end feel and appearance. 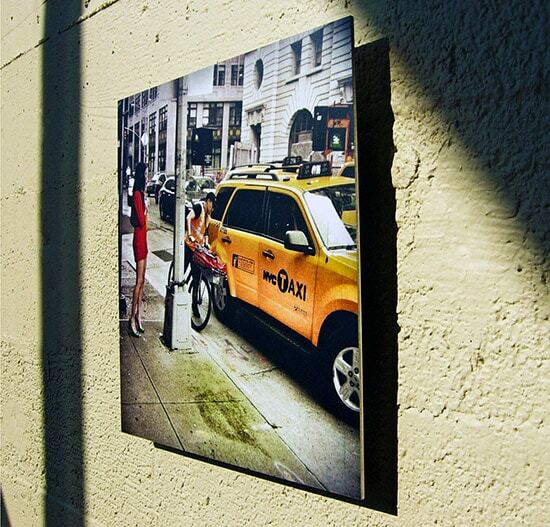 Our aluminum print product offers a softer, more matte look. If you're looking for a more vibrant & glossy look please see our popular acrylic prints. No Direct Printing To Aluminum. We do not print directly to the aluminum. We print to high grade photo paper (your choice of satin or metallic) and mount the image to the 1/8" raw aluminum to achieve the full color gamut and ink permanence. 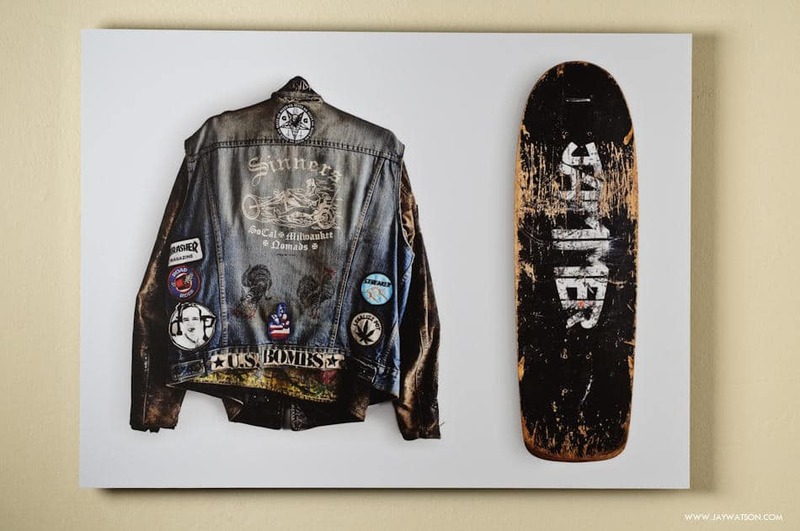 This is a softer, more matte finish over direct to aluminum "metal prints". We can do any custom size from about 7" to 40" down to the 1/4". Any size can be ordered online here. While raw aluminum is highly durable, it is a soft metal so we can't produce at huge sizes. Our size limit with the raw aluminum print is 40". 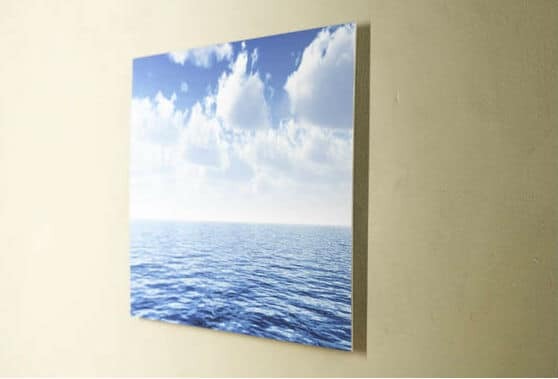 For larger sizes consider our dibond photo mount product which provides more rigidity at large sizes. Your aluminum print arrives ready to hang out of the box with either our wood/wire option or the aluminum/french cleat option. Every aluminum print is handcrafted at our shop in Seattle. Stop by and say hi if you're local! Our bulletproof packaging allows us to ship all over the world. Only orders shipping within the US and Canada are available for online ordering. Please contact us for orders shipped elsewhere. We can do any custom size down to the quarter inch with a minimum dimension of 7" and max dimension of 40". Currently only certain sizes are available for online orders. If you need a custom size, give us a shout! The table below shows our stocked sizes pricing which are a bit cheaper per sq inch. We can do any custom down to the 1/4". You can use our pricing calculator here if you want to price out any size or option (opens in new tab) or you can upload your photo and configure an order here to see price too.